It's never too early to start planning for the new year, especially since the month of October basically flew by! That means there are only two months left of 2018! Have you already made up your mind about 2019? I'm hoping you've decided to make it a growth year in your T&I business. I have! Need some ideas? Here are 5 ways to improve your web presence before the new year! 1. Refine your website to fit your target market. Everything on your website, from the images to the copy and everything in between, should be created with your ideal clients in mind. 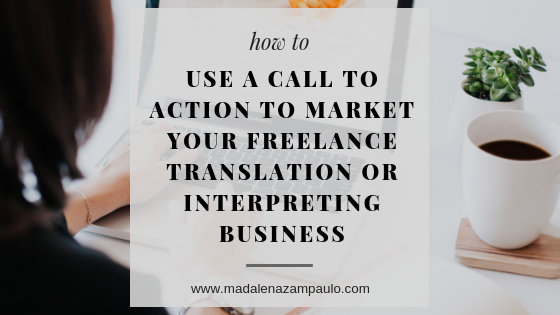 If your ideal clients use certain terms and language, you should be, too. When a client clicks on your website, he should know immediately that you are the right fit for him and his goals. Make updates to your website from time to time so that you can continue to speak directly to your target market. These could be things like the visuals you share, the language you use, the calls to action you create, etc. I'm teaching a course about this in November, and today's the last day to sign up at the early bird rate! For more information, or to register, click here! And to read more about how to create an ideal client profile, check out this post and this post! 2. Hang out online where your target market does. I get a lot of questions on this one. The most common one I receive is, "But what if I don't know where my clients hang out online?" Well, I'd say you have some research to do, but it should be fun to look into this, because the more you understand your target market, the better you will be able to make a connection with them. Start by doing some simple Google searches. You could also do some searching around LinkedIn for forums related to your target market. What groups or forums do they participate in? What kind of content are they searching for or commenting on? Where do they hang out on social media? One great way to find this information is to look at the websites of potential clients in your target market and visit their social media pages. Follow them! Engage with them! If they are active on Twitter, make sure you are active and engaging with them on Twitter. If they tend to prefer another platform, create a profile and get to work. Provide value on the platforms where they hang out by sharing valuable content, commenting, and showing your expertise and generosity through the value and information you share. People pay attention to these things. The value and generosity will come back to you! 3. Consider your emails… yep, those things you write every single day. When a client emails you and you hit "reply," are you really talking to your clients in a way that builds trust? Or are you just shooting back a response so you can move on to the next email or task at hand? Consider providing value in every email you send. Whether you include a link to an article the client might find relevant (bonus points if it's to one of your articles or blog posts! ), or if you throw in a freebie add-on when you deliver a translation. 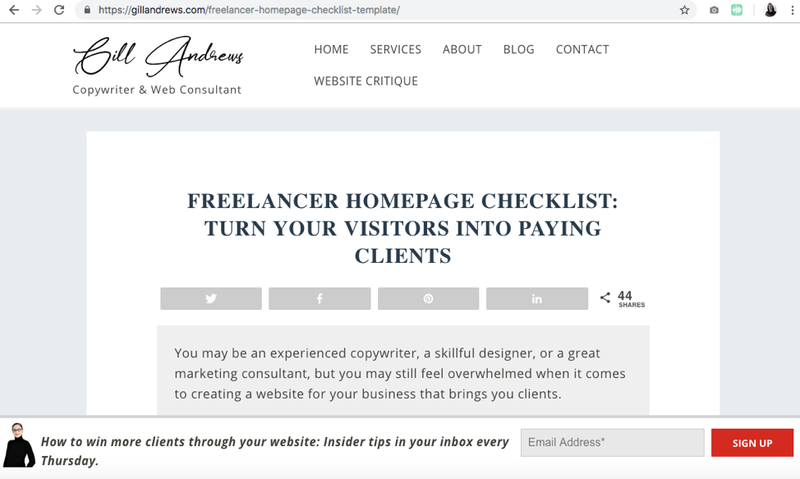 I don't like to give away work for free, as I feel that that devalues the work itself, but consider something "extra" you could do for a client that they aren't expecting. This helps you to build more of the like, know and trust factor with them at the same time. 4. Start producing original content. It's fine to repost and share others' content online. In fact, it's necessary, as we cannot possibly produce new content all the time. But what are you producing that shows your professional skills and the value you provide? Consider starting a blog or posting articles to LinkedIn on a regular basis. Make sure that what you write is relevant to your target market and that it is something that they would want to read and pass along to colleagues! Once you've created the original content, share it with them. Don't expect others to follow your blog or be on the lookout for your next LinkedIn article. Let people know when you have provided value. No one will see this as being boastful or showy. They'll appreciate it, I promise! 5. Take 20 to 30 minutes a couple of times a week to find valuable content online for your target market, and share it! Send it in an email to a client or a prospect. Tweet it or share it on LinkedIn. Post it in a LinkedIn group or forum where your target customers hang out. And please… when you share it, say something intelligent about it! Don't just paste the link. Mention what you find useful or valuable, too! This shows your expertise and knowledge on the subject. And perhaps even more importantly, it shows that you care. There are a lot of ways to step up your web presence. Make a plan for yourself for the coming year. Commit to one hour a few days a week to really put time into improving your online marketing game. You will start to reap the rewards sooner than you think!